X (array-like) – 1 or 2d array to filter. If 2d, variables are assumed to be in columns. low (float) – Minimum period of oscillations. Features below low periodicity are filtered out. Default is 6 for quarterly data, giving a 1.5 year periodicity. high (float) – Maximum period of oscillations. Features above high periodicity are filtered out. 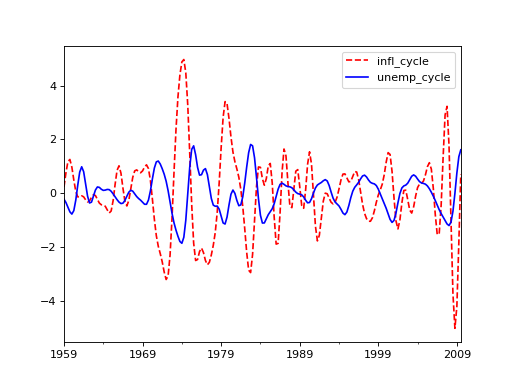 Default is 32 for quarterly data, giving an 8 year periodicity. 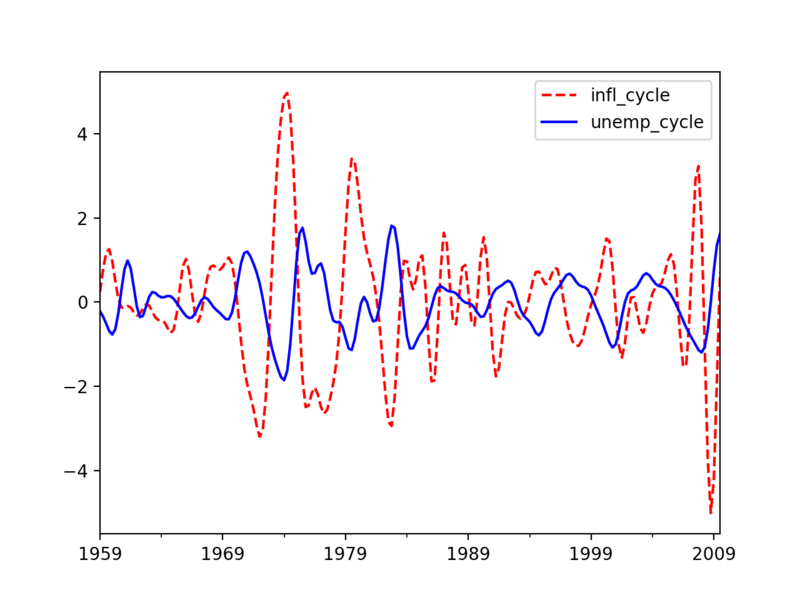 trend (array) – The trend in the data with the cycles removed.